Being locked out of your home or car because you either lost or locked your keys inside can make for a really crummy day. It will put you behind all of your daily activities. The most obvious solution to the problem is to call a locksmith. It is recommended to already have a locksmith saved in your phone that is reputable and that you trust. So do your homes work now so you don’t just call the first place your find without knowing who you’re calling. Best Locksmiths will share how to find a good locksmith. Never hire out of desperation. Many locksmith companies take advantage of the situation. That is why you want to find someone that you can trust and rely on. To help you find a good locksmith, start with a lot of homework. This part is well worth it in the end. Start by getting a handful of locksmithing companies with good reviews. You can ask family or friends if they ever used a locksmith and if they liked who they chose. After you have acquired a few companies from which to choose, next comes the process of elimination. Here are some of the questions you should be asking when eliminating companies off of your list. 1. Does the company work 24 hours? 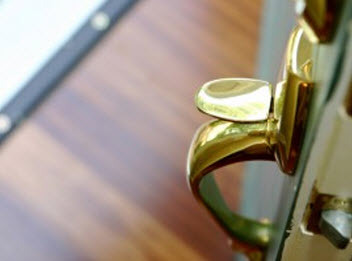 It is important to have a locksmith that can help you around the clock. You never know when you will be locked out of your home, car or work. 2. Is the company bonded or insured? Don’t take yes for an answer; ask for paper work or other documentation that they have insurance. 3. Then ask about their experience and how long they been practicing? If a company can’t prove their company’s experience or have been practicing for a time, they might be just starting out or a fraud. Also find out what services they offer. If they say they just pick the lock, that’s not a real answer as to their services. 4. Ask for some references. A legitimate business will be able to provide solid references and they should be able to refer you to some sources of testimonies to prove their good services. 5. Next, ask about their prices. Often the cheapest bid determines the victor. However don’t be hypnotized by a cheap price. Remember you get what you pay for. It is ok to look for good deals, just don’t solely base your final decision on the price. 6. The final question you should ask is if there is after hour fees. In the event there is an after hour emergency, you will want to know what their fee will be. Most companies have an after hour fee so don’t expect to find a company without fees. At this time you should have found a locksmith that you feel is trustworthy. Now all you need to do is program their number into your phone. Best Locksmith hopes we were able to help you find a good locksmith and to have the company readily available for those unseen events. Don’t be locked out of your home, work or car. 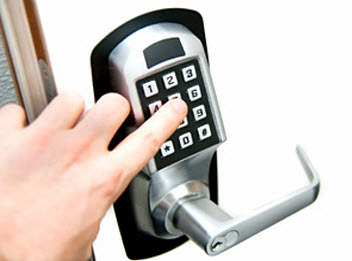 If you need a good locksmith, Best Locksmith can be there to help you. Give us a call the next time you are locked out. More and more people are seeing the benefit to living alone rather than with roommates. This is a very exciting time, but it can also be an adjustment. If you have never lived alone before, you may feel hesitant and unsure about your safety. This is a valid concern when there isn’t anyone else to vouch for your safety in your home. Best Locksmiths is here to share some safety tips to those that live alone that will boost the security in your home, especially when you are a female. As you are getting settled in your new house or apartment, check the residence for any possible security risks. This may include a front door that need securing with a new reinforced door jamb and high quality deadbolt. You should also check all the lights on the exterior of your home to make sure the bulbs aren’t burnt out and need replacing. Along with the doors, you should check all of your windows and make sure you can shut them all and lock them to keep you safe. This is a great time to give your new place a good once over and perform a lock audit. You want to know the people that live around you. This doesn’t mean that you have to hang out all of the time, or become close friends, but you want to know who they are. They may be someone that can keep an eye out on your home while you are away or at least be aware of you and your safety. A dog is a man’s best friend for a reason. They are great to let out a warning if they sense any danger. They can also deter any possible burglars that come creeping around. You don’t want to train your dog to be aggressive, but you do want them to bark when they sense danger or strangers are present. Getting a dog will make it less likely your home gets broken into. After the sun goes down, close your blinds or curtains. It is natural for the line of sight to be drawn to a window that has the lights on. When you don’t have your curtains closed, everyone on the outside can see right in. You don’t want everyone to know that you are alone, so it’s best if you keep your curtains drawn after dark. When you leave town, don’t post all over social media about your travels. This is like advertising the fact that you aren’t home. If you are gone, don’t tell everyone you know. Also, ask your neighbors if they will keep an eye on your house, if you trust them. If you live by yourself, the very first thing you want to do is upgrade your locks on your door. Most burglaries take place by someone breaking into your front door. You want this area of your home to be locked and secure. Best Locksmiths can help with any reinforcing that needs to be done to improve your locks. Contact us for more information today! Always Locking Keys in Car in Racine, WI? Never Again! 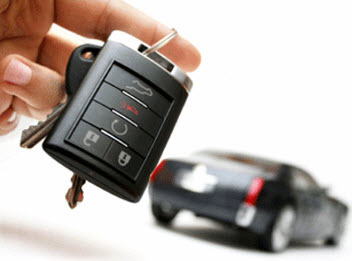 Slow Down, Maintain Key Fob Battery Replacement & Carry a Spare Automotive Key! One of the most annoying things to happen is when you walk out of the store or your home and realize that you have locked the keys in the car! When you lock the keys in your car it can throw a wrench into your day and cause you a moment of panic. It can also mess up your day if you have an appointment or you have a basket full of groceries. Being locked out or a car or even a home is not a fun situation to be in. Now you need to contact a locksmith that has a mobile service so we can come to you and unlock the car on your behalf. You may also need a locksmith that offers emergency services if you are finding yourself locked out after hours. No matter that time of the day a locksmith is necessary. The best thing you can do is to be sure that you have some ways to help avoid this entire situation. Slow Down: One of the biggest reasons that a person is stuck locking their keys in the car is when they are in a hurry. You might be hurrying out of your home or in a store and there is too much happening and next thing you know you are locked out. Another reason is being in a hurry and having your hands full. You may decide to set your keys down and then unload or load your groceries or other items and accidentally lock them in. The best thing you can do is to slow down and take that extra few minutes to be sure that your keys are in your hand and your car is securely locked when you walk away. It will save you a lot of heartache and time waiting on a locksmith. Key Fob Battery Replacement: If you are like the many car owners that use a key fob to unlock and lock your car you need to be sure that you have good fully charged batteries. Never wait for the battery to die before you replace them because that can leave you stranded. Set a reminder and use it to alert you to change out the batteries in the remote or fob when it is necessary. A dead battery means you are not getting the car locked or even unlocked. Carry A Spare Car Key: Your main set of keys is usually in your hand when getting in and out of the car but if you had a spare key that is separate from your main keys you may have it in your possession if by accident you lock your keys in. You can also have a spare key left with a loved one or friend that would be willing to come by to save you if you lock your keys in. If you find yourself locked out of your, car call a professional locksmith that has the ability to come out and unlock the car for you.